So the shell is practically done. After several months of an evening here and there. Taking time when I had time off from work. The last of the templates has been cut out. The foam cut. And the pieces glued together. So now I have an idea of exactly how big this thing is going to be. Now the fun part of figuring out how to join all the pieces together. 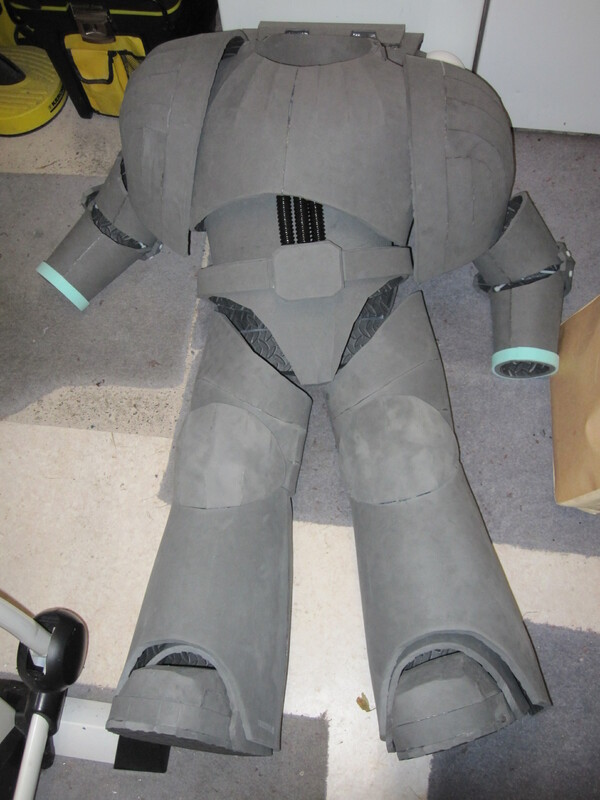 I’m thinking nylon strap webbing and plastic buckles to hold the shoulders in place. And possibly some jogging bottoms and Velcro for the legs. As for the monster huge boots. I have an idea involving an old pair of jaywalkers. Hopefully the young lad that will be getting this will like it.